(December 2, 2018) Archbishop Currie presented the Benemerenti Medal to Ms. Joanne Thompson. 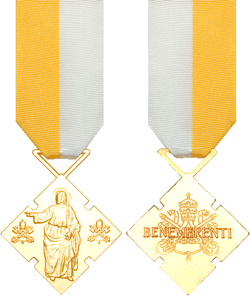 The Benemerenti Medal is an honour awarded by the Pope to members of the clergy and laity for service to the Roman Catholic Church. Ms. Thompson's work with the community, especially her creative and diligent work with the Gathering Place is very much recognized, valued and appreciated. Archbishop Currie presented the award of Knight Commander of the Order of St. Gregory the Great to Mr. Pat Thompson. 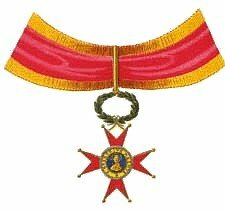 The honor is bestowed upon Roman Catholics in recognition of their personal service to the Holy See and to the Church, through examples made in their communities and their countries. Mr. Thompson's work with the Basilica Historical and Museum Committees is very much recognized, valued and appreciated.